I am not familiar with energy bars before. I never once tried it either since I thought they were just those plain kinds of meal bars. I hesitated to even read what it contains and what good it can give me. Until, one day I’m always wear-out not because I have too much work. But because of just the food I eat which doesn’t give me more energy for the whole day. I was wondering about how to gain all this energy with me. At the same time, I don’t eat too much, for I’m on diet. Thankful for Probars who gave me the opportunity to try on a product they have which is the superfood slam meal. I have great experience with my first energy bar. I was impressed and really feel good and happy that I have really tried this review. Very good in flavor, sweet which is I like, chewy and I know it is healthy stuff in it. I am excited to know that everything they made is 100% vegan, certified organic, certified non-GMO, and mostly raw. In which they will make things Simple Real. The original meal-replacement bar now comes in four new and delicious flavors: Oatmeal Raisin, Mint Chocolate, Chocolate Coconut and Superberry & Greens. These meal-replacement bars are guaranteed to satisfy your hunger and deliver plenty of all-natural, nutritionally based energy. It is a Certified Organic, non-GMO, vegan, and rich in raw ingredients. Perhaps most notable, The Superberry & Greens combine hard-to-find super-greens like Wheat Grass, Chlorella, Maca, and Spirulina with berries such as Goji, Raspberry, Blueberry and Acerola Cherries to deliver an incredible antioxidant rich super-food snack. Superberry and Greens are also the first bar on the market to come with an active pro-biotic to ensure smooth digestion. Probar has good ways for their customers whether you are new or a returning one. They will share a special one-time discount to you who wish to buy which gives you 40% off on your first order. Simply check out the SHOP and type in the code “BLOGGER” at the checkout. It never stops there. I will be hosting a giveaway, for my readers/followers to enjoy the best experience I did. 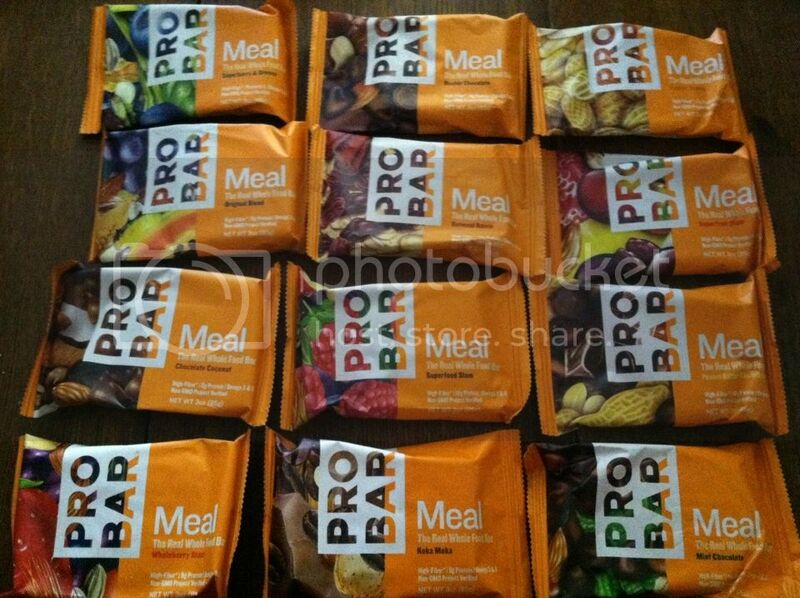 One lucky reader is going to win a ProBars product. To learn more about ProBars please visit the website and like their Facebook page to get connected to what’s new. I love Probar, all of their stuff are really good. I have tried these bars-they are very good tasting!! I haven't had these before but I love that they are so healthy. Good to know so many others have tried them and like them. I'll have to look for them near me and give them a try. my husband loves energy bars. i would get some of these for him next time i go to the store. I have been wanting to try these but did not want to pay the price and find they were not good. Thank you for the review, I will definitely get them now. Novs, told you, t hey are worth to try. I love the Koka Mocha. They are filling but despite of high calorie counts, I'd still eat Probar than cookies hehe! I have not tried these ones they sound great, I will have to try them now. I am always wore out about half ways through the day hopefully this will help. My husband eats PROBAR products all the time. They are his favorite meal replacement bar. I havent had ProBar, but I do love protien bars!! I have had the chance to try Probar from someone before and I love them!